Whether or not you agree with racing on Good Friday, All-Weather Championship Finals Day at Lingfield looks like it’s here to stay and, on the upside, provides highly competitive action on the track. The Unibet All-Weather Sprint Championships Conditions Stakes, run over 6 furlongs at the Surrey track, is arguably the most competitive race of the afternoon, but that suits us just fine and we’ve come up with a couple that could go well at lucrative odds. Bosham (33/1) has already had a successful time this winter, winning seven times on the all-weather since August and rising 36lb in the weights in the meantime. Strictly speaking, he still has 15lb to find with the best of these and was beaten on his only previous attempt at Lingfield, but the manner of his latest win at Chelmsford eight days ago suggested that his improvement may not, yet, have come to an end. The Sharmardal gelding appears versatile with regard to distance and, while his bold, front-running style will mean that he’s there to be shot at, he has the services of the leading jockey at the track, Adam Kirby, who has a 33% strike rate for the yard in recent years. Former Group 3 winner Russian Soul (33/1) is clearly not as good as he once was, but is still no slouch and has won his last two starts over 6 furlongs. He beat the 110-rated Yuften, on unfavourable terms, in a small conditions race at Dundalk two weeks ago and, if in the same mood, looks far from a forlorn hope. He finished last of 10 in a qualifier for this race, over 5 furlongs here, between his two wins, but was only beaten 4¾ lengths in total and Co. Kildare trainer Michael Halford presumably isn’t sending him back across the Irish Sea for a day out. 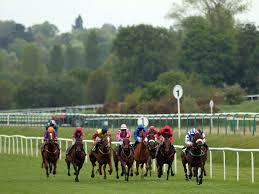 Jockey Shane Foley, who’s won on him six times, also heads to Lingfield for just one ride on the day.